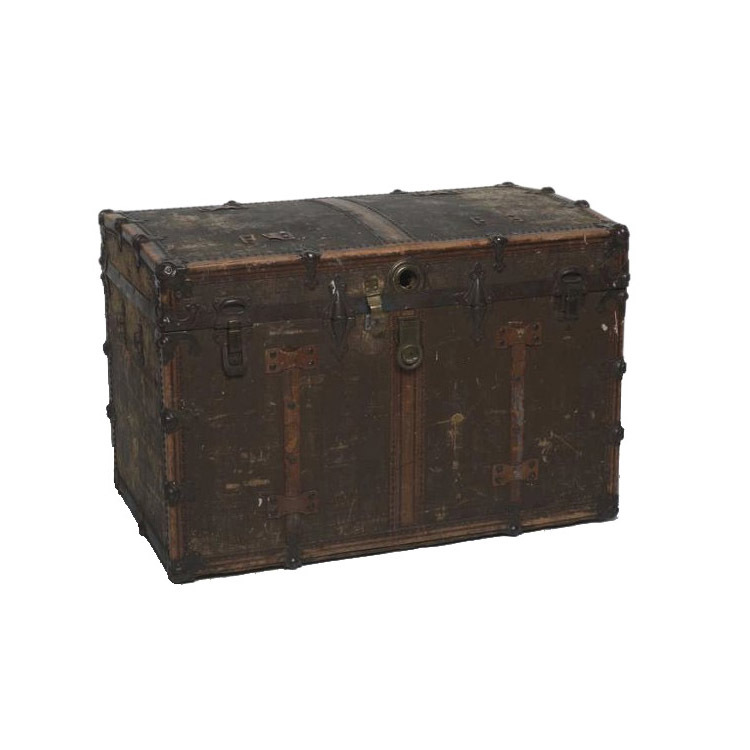 Brown trunk with round-top and distressed hardware. Trunk can be used as a coffee table or stacked under a table to create lifts & levels. 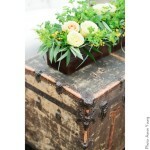 Top of trunk is rounded so a tray must be added if anything is set on top.